Is Sean Spicer in Trump's Doghouse Over Melissa McCarthy 'SNL' Portrayal? 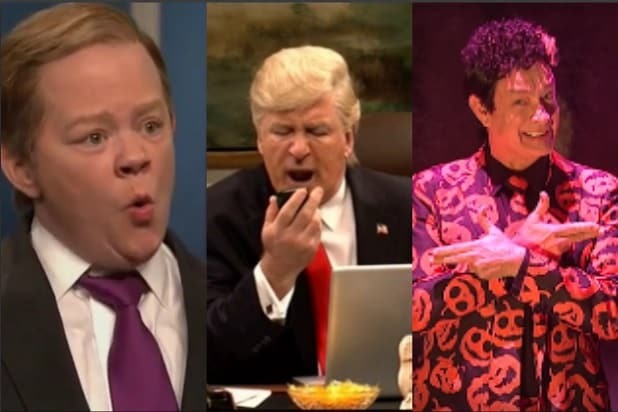 Note to future Trump White House press secretaries: you’d best hope that “Saturday Night Live” chooses a male actor to play you. 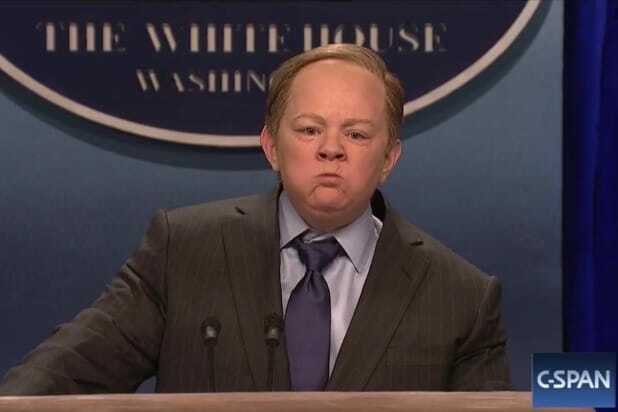 At least, that is, according to a report Monday evening in Politico that suggests that President Trump is quite unhappy with the show’s brutal parody of current Press Secretary Sean Spicer — because he was portrayed by Melissa McCarthy and not by a man. McCarthy drew raves with a surprise appearance on this weekend’s Kristen Stewart-hosted episode of “SNL,” playing Spicer as a hostile, gum-obsessed know-nothing who gets Press Corps members’ names wrong, blasts them with a water gun and even attacks them with a podium. But, says Politico, anonymous sources maintain that the problem inside the White House isn’t with Spicer looking like an angry buffoon — it’s who made him look like an angry buffoon. Donald Trump has a well-documented habit of reacting strongly to the way he’s portrayed by “Saturday Night Live.” But, as has been widely noted, the president remained curiously quiet after Saturday’s episode, which devoted considerable time lampooning him harshly, including Kristen Stewart’s opening monologue. TheWrap has reached out to the White House for comment.